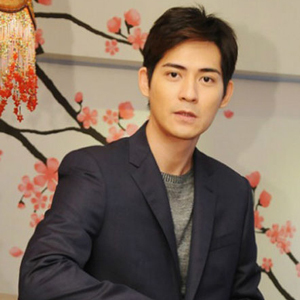 Vic Chou shared his struggles with depression at the promotional event of his new drama series, Home alongside co-star Janine Chang. Portraying a solemn military officer during the Second Sino-Japanese War in the 1940s, the singer-actor got too engaged in his character while filming in 2011 and suffered from depression as a result. Vic kept a distance from everyone, and suffered a drastic weight loss to 64kg due to insomnia and a lack of appetite. He would also isolate himself at home during filming breaks. The 31-year-old only recovered from his illness after the production crew wrapped up filming fifteen months later. He has since resumed his usual activities and also gained weight to 73kg currently. "I'm perfectly normal right now," he assured. Meanwhile, the heartthrob remained secretive on his current love life. He has yet to confess on his relationship with model-actress Reen Yu even though they were photographed behaving intimately at Vic's apartment during New Year's Eve. Vic added, "I prefer to keep things personal. I have no plans for the future, let nature take its course."